If we were to ask you what the core, driving purpose and motivation of your content marketing strategy was, what would your answer be? Would it be to target a specific demographic or persona? To evoke a certain type of emotional response? Or, quite simply, would it be to sell your product or service? It actually doesnt matter, because within the digital marketing landscape that exists today, all of those answers are inherently wrong. Marketing today - and were talking about the campaigns and strategies that really work - isnt about sales. Sure, sales and revenue are (ideally) waiting for you at the finish line, but the force that should propel you towards that goal is none other than this simple sentiment: provide value. Todays savvy consumers are no longer responsive to one-dimensional and transparently sales-focused marketing structures. Basically, they arent ready to hop in bed with your company or product after the first date. Instead, they want to be courted - they want to feel heard, valued and appreciated. And if youre trying to fake sincerity and cheat the process, theyll probably see through your strategy because, well, theyve been around the block. You need to operate with a No strings attached mentality. Todays consumers and businesses know what they want and quite frankly, if you hit them with sales pitch after (misinformed) sales pitch, you risk being seen with the same regard as an unwelcome telemarketer. So, what does it mean to prioritize your marketing strategy around the concept of value? Essentially, the key to a successful strategy is giving value once, two, three times over before you even think to ask for business. Lets use a real-life example - say youre at work, and need your colleagues help with a major task or project. Will they be more likely to (enthusiastically) help you if you ask out of the blue, or if youve readily helped them in the past or otherwise provided them support and value throughout your working relationship? The answer is simple, and this readiness to give before you take is the understanding that your content marketing strategy should be built around. 1. Who is your audience? What do you know about them? What do they care most about? 2. What kind of content does your audience seem to engage with? Can you create that style of content? 3. How can you create content which - while still relating back to your brand in (and aiding in their eventual path to purchase) - provides inherent, genuine value to your audience? Luckily, content marketing is a perfectly crafted vessel for providing value and establishing a genuine connection with your target audience/persona. Gone are the days of being limited to banner advertisements and ad placements, companies now have the on-going opportunity to communicate through blog content, influencer marketing, video content, social media channels and more. Each one of those content channels offers a different structure and appeal, allowing you to constantly tailor (and adjust) your content strategy based on what seems to resonate with your prospects, within that specific space. Take a second to think about some of your favorite brands and companies, how have they told their story? Those marketing campaigns that have resonated with you on a deeper level - were they just sales-focused, or did they tap into something deeper? Something that mattered to you as their potential consumer? What made you inherently trust them or gravitate towards their brand over a competitor? One of my favorite examples of a campaign that truly capitalized on this concept of understanding its audience and tapping into something deeper than the transparent pursuit of sales, was actually Heineken. Earlier this year, following the content marketing disaster that was Pepsis Kendall Jenner #Resistance Ad (which was quickly pulled following immediate backlash), Heineken gave us something truly refreshing - and Im not just talking about their beer. In their commercial, Heineken performed a Worlds Apart experiment matched up complete strangers who had been selected for their political opinions, and asked them converse. The 4 minute, 25 second ad (link to: https://www.fastcompany.com/40412848/heineken-just-put-out-the-antidote-to-that-pepsi-kendall-jenner-ad) manages to highlight the divide of opinions surrounding climate change, feminism, transgender rights and more - while still finding a way to, genuinely, bring those people together. Who would have thought a beer company would care about those divisive, political issues, let alone find a way to tie back a lofty social experiment to their product - and yet, they executed it perfectly. As the commercial came to an end, I found myself (as a consumer) looking at Heineken in a more positive and enthusiastic regard than I ever had. So, in our industry, the question becomes: How can you provide inherently valuable content marketing strategies within the realm of B2B travel and hospitality technology? How can we utilize and apply these driving principles of content marketing to better target our potential customers and drive sales? At Puzzle Partner, were pretty sure we know exactly how that can be done, but we wanted to provide you some value, first. 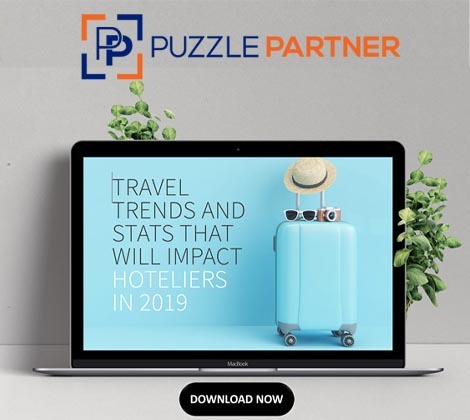 To learn more about our content marketing programs and our team of team of specialized writers, each with significant expertise and insight relating to the travel and hospitality industry, click here. 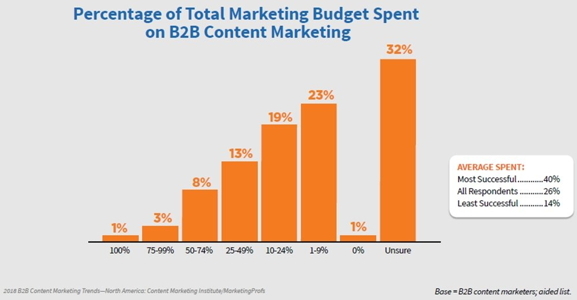 Please share your thoughts on content marketing and whats working vs what isnt @AlanEYoung.